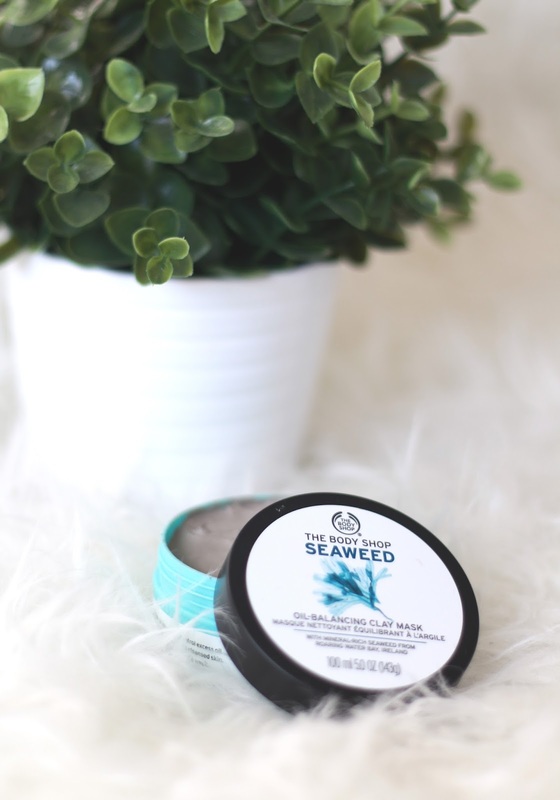 I’ve been on the look out for a new face mask for a long time now, I usually use the ‘Quick Fix’ masks, but I didn’t see much of an improvement with those, so I popped into The Body Shop and picked up their seaweed clay mask. I originally went in looking to buy the himalayan charcoal mask, but to be honest I just couldn’t fork out £16 for a face mask. So, obviously the second best option was the seaweed mask for just £13 (although I got it for £10 with my Mum’s O2 priority). You do get 25ml less, but still I think its a much better price point. Anyway, what it says about the mask on The Body Shop site – ‘Deeply cleanse your skin with our purifying and balancing seaweed oil mask. Skin will be left feeling fresh, revitalised and pure’. Its also suitable for combination/oily skin, which is my skin type pretty much. I have to say, I do feel as though it gives my skin a good deep cleanse and my face always feels so smooth and refreshed after using. I actually really like the smell of this mask as well, it sort of smells like the beach, I dunno its just very fresh and reminds me of sea air. So thats always a bonus! As for the oil balancing aspect of it, I genuinely think its the best thing I’ve tried yet to tackle my weird combination skin. I have severe dry patches around my nose, and I hate it so much because makeup just clings to them, yet the rest of my face is pretty oily. So all in all, my skin just annoys me sooo much. Anyway, after using this the first time I was left with really lovely smooth skin and my dry patches seemed to have reduced a lot. Waking up the next morning, the flakey skin was almost non existent so its fair to say I was pretty impressed. Overall its just a really nice mask to use, as it smells great, and leaves my skin feel smooth and refreshed. I’d highly recommend it if you have a combination skin type, as it seems to have really helped mine out! Have you ever tried this mask?